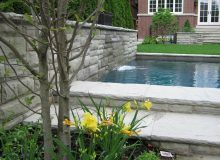 Landcare built the upper patio area overlooking the pool complete with a stone wall and water feature. 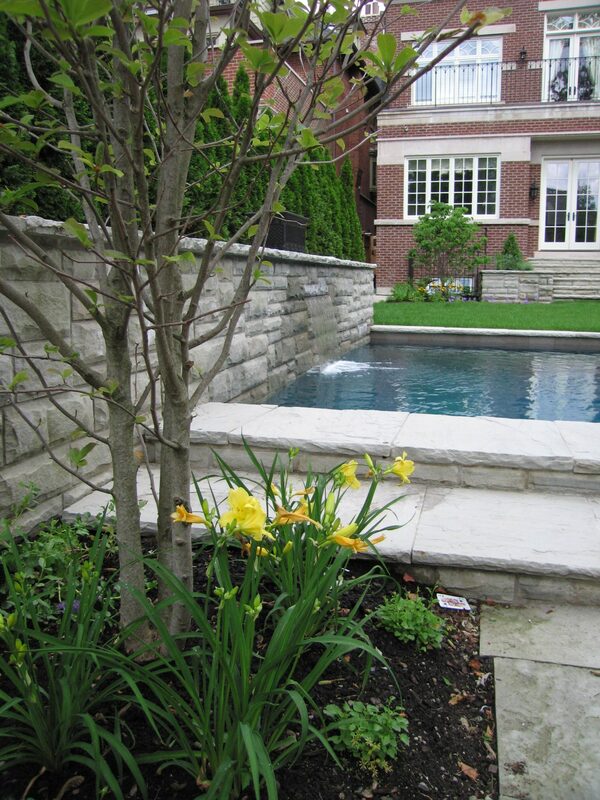 The patio surrounding the pool area is in a herringbone pattern edged in a natural gray cut stone. 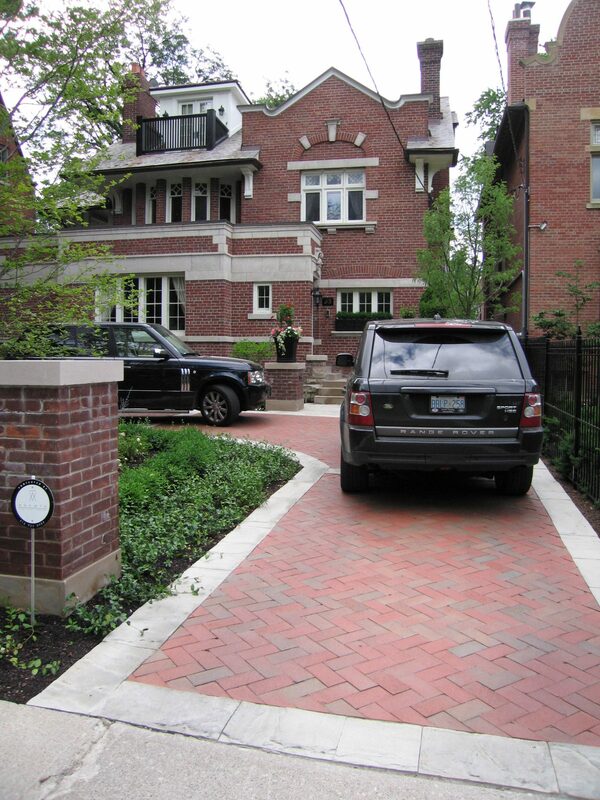 This pattern is repeated in the front driveway and compliments the brick of the house and stone steps and walkways. 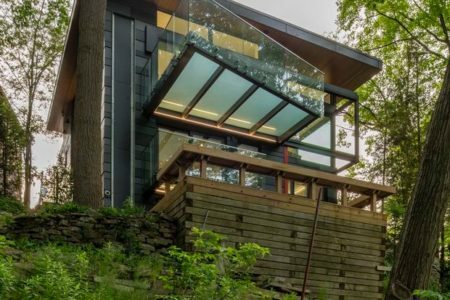 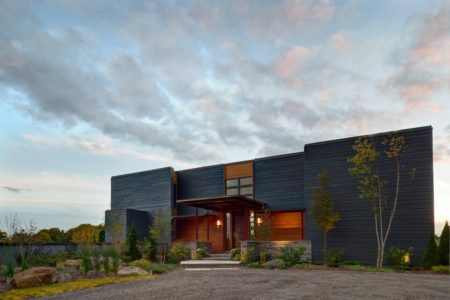 We built a cedar fence along the length of the property and cedar trees contributing to privacy screening. 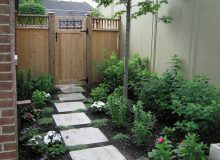 There is a random cut flagstone path leading to the gate that is surrounded by garden. 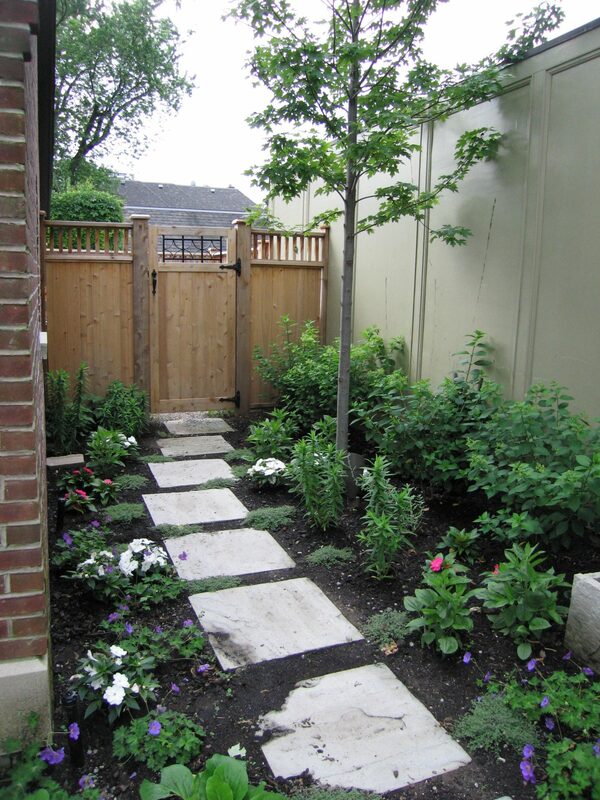 This softens the gate/fence/brickwall elements.